. إن الخدمات الممتازة وحسن الضيافة العالي في Motel 429 Sandy Bay Road تجعل إقامتك تجربة لا تنسى. يقدم الفندق واي فاي مجاني في جميع الغرف, خدمة التنظيف يوميًا, تخزين الأمتعة, واي فاي في المناطق العامة, صف السيارات لضمان الراحة القصوى لضيوفه. تعكس غرف الفندق البالغ عددها 33 المنتشرة في 3 طوابق جواً من الدفء والألفة.خدمات عصرية مثل تلفزيون بشاشة مسطحة, اتصال لاسلكي بالإنترنت, اتصال لاسلكي بشبكة الإنترنت (مجاني), غرف لغير المدخنين, مكيف هواء موجودة في بعض الغرف المختارة. يقدم الفندق مجموعة رائعة من الخدمات كمثل مركز للياقة البدنية, ساونا، لجعل إقامتك تجربة لا تنسى. 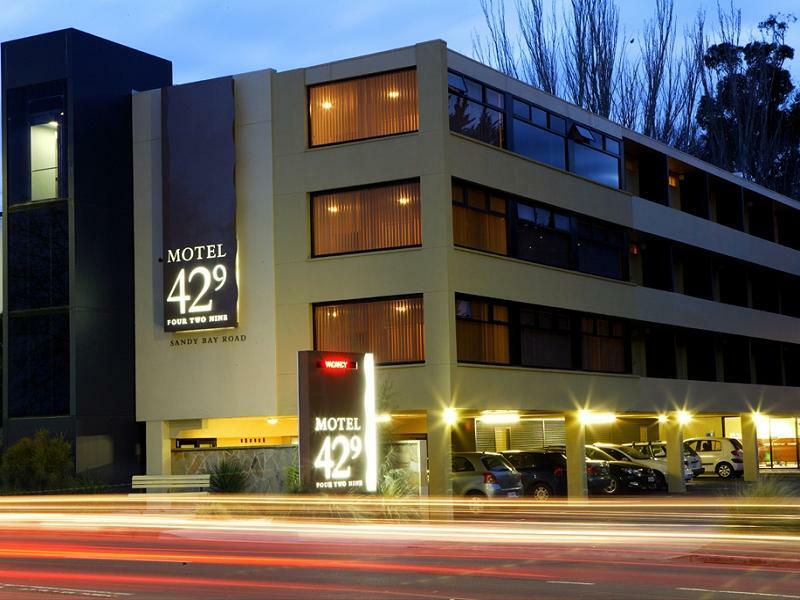 إن Motel 429 Sandy Bay Road هو خيارك لخدمة الفنادق الراقية في هوبارت. Great location in Sandy Bay. Good place to have a morning or evening stroll with great view of Tasman Bridge and Derwent River. Room features a unique built-in bar counter next to the window, nice feature. Bathroom is also equipped with a heater which is a really good feature to use after a shower in a cold weather. The three (only) riverfront rooms have a rare unobstructed view of the mountain, the river and the nearby casino. Three of Hobart’s postcard views. The rooms are large., with crockery, toaster and microwave. Sofa and dining table. 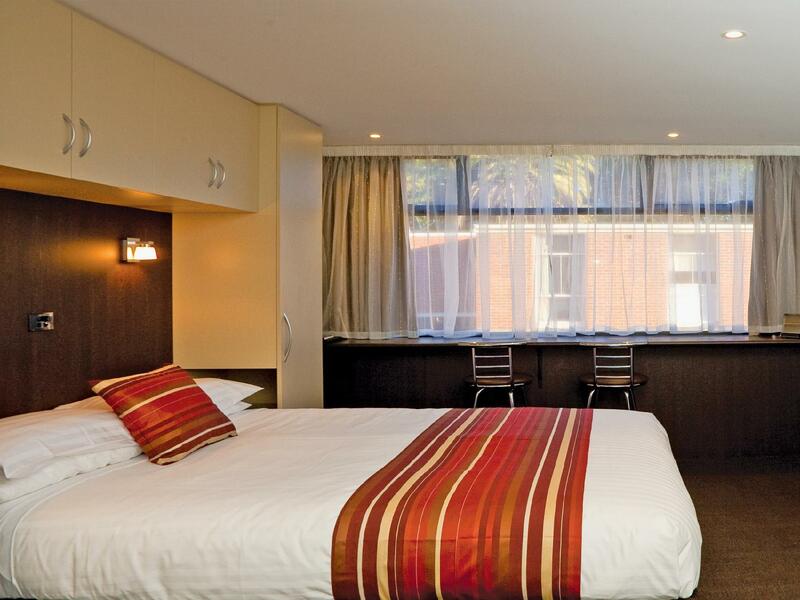 Clean, plenty of parking and 5-10 minutes south of the CBD. I like this Motel 429 bcuz of its location, friendly and very nice staff. The staff was very cooperative and welcoming their guest. 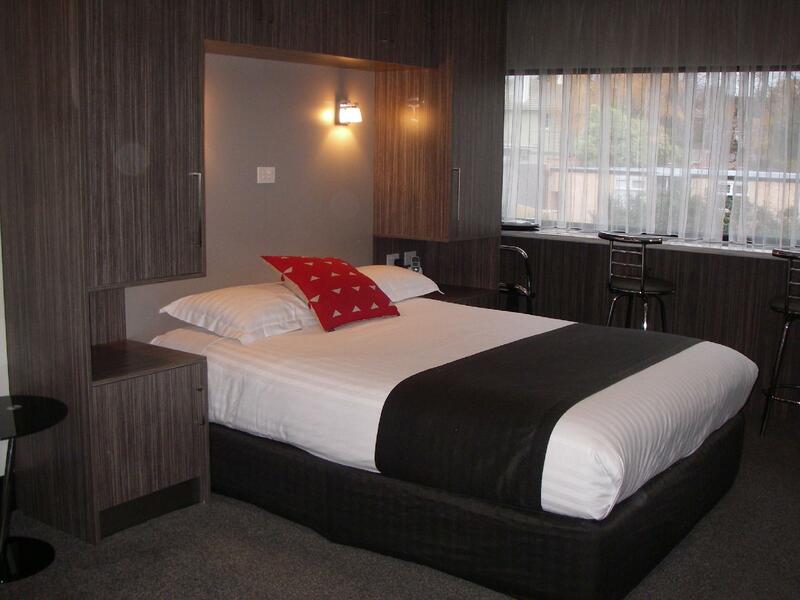 If i visit Tasmania and come to Hobort this would be my place to stay.. i recommend my friends and family this Motel. Although the motel was not located in town, it was conveniently located within 10 min drive from town. Room was very clean. Most importantly, the heater in the room was great, being able to keep us warm in the cold winter. There's also a heater in the toilet which was very useful when showering in cold winter nights. The room was also clean and huge. Me and my girlfriend were pleasantly satisfied with our stay at Motel 429. Will highly recommend this to friends who will be travelling to Hobart. 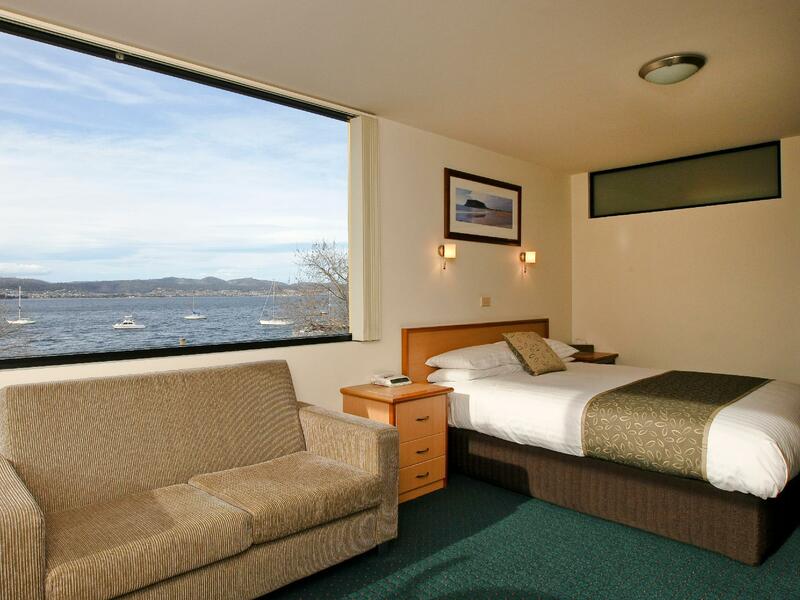 Love the location of the hotel, right in the heart of Hobart with water front view. Bed was nice and comfy - bathroom has a heater which makes it more comfortable getting out of the shower. Love the mini bar - great selection of drinks with very reasonable prices! Highly recommended ! 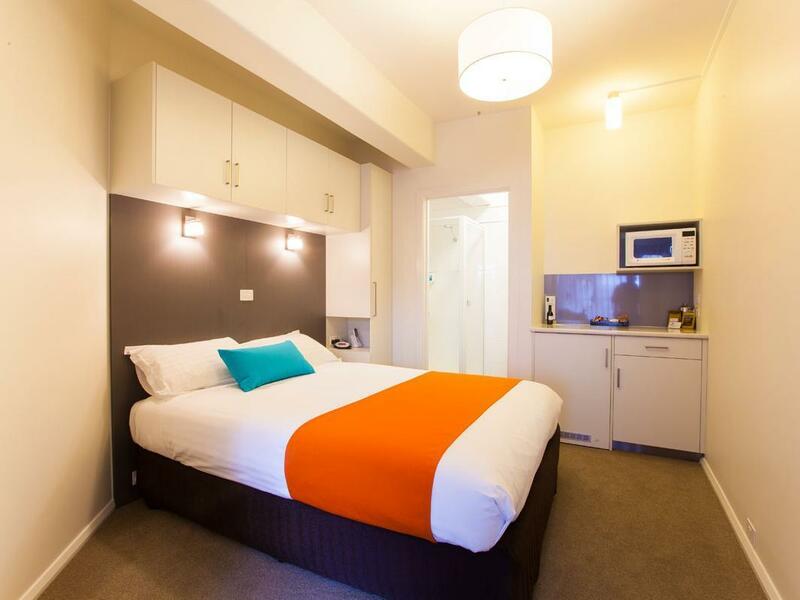 Checkin is easy, Room is clean and tidy. Beds are comfortable and the heater worked well. The wifi is also strong. There was also full cooking facilities provided, except the stove is too near the bed. Location excellent. Cleanliness excellent. Facilities excellent. Comfy bed. Very reasonably priced. Has a lift. Allowed us to leave our car there after we checked out so we could catch a bus to the market. So accomodating A little road noise but we don't have any usually as we live rural. Good location, convenience. The room is big and tidy. But the wifi signal is a bit weak. It was nice staying with Motel 429 given its beautiful bay view, and pleasant neighborhood. The room was OK for one, although I won't recommend it for couples. The location isn't too bad given that it has a bus stop not far away, with fairly frequent services. Price wise, it's not too dear, but it isn't competitive either. Our stay was really good. I requested and payed the extra for a waterview room. The view was not as described in the advertising and it was obstructed by trees. It was clean and tidy and comfortable. Overall was good. Good place to stay in hobart. It a great value of money. Anyway, staff wiil be in office only 8am-7pm so if you want to check in early or check out late, you have to call them. I was check out early so i called staff, they let me left key card under the office's door. I checked in late at 1am so was only there for 9 hours but was very comfortable and easy to get to and from. Excellent location down the road from Sandy Bay and the Salamanca Markets. The receptionist was very friendly and helped me with my enquiry. I TRAVEL OFTEN FOR BUSINESS AND THIS OFFERED ALL THE THINGS I NEED/ WANT IN A ROOM - GREAT BED EXCELLENT BATHROOM PLENTY OF SPACE TO WORK AND RELAX-SMALL KITCHEN AREA- GREAT VALUE CONTINENTAL BREAKFAST $9 AU- LOCATION WITH GREAT ACCESS TO MAIN AREAS OF HOBART WATERFRONT ETC- FREE EASY PARKING VERY MODERN BUT TASTEFUL DECORATION FLAT SCREEN TELE AND DVD CD - ROOM RATE SUCH GOOD VALUE FOR MONEY FOR WHAT YOU GET I WILL BE STAYING AGAIN FOR SURE, AND THE STAFF VERY VERY HELPFUL AND PLEASANT. 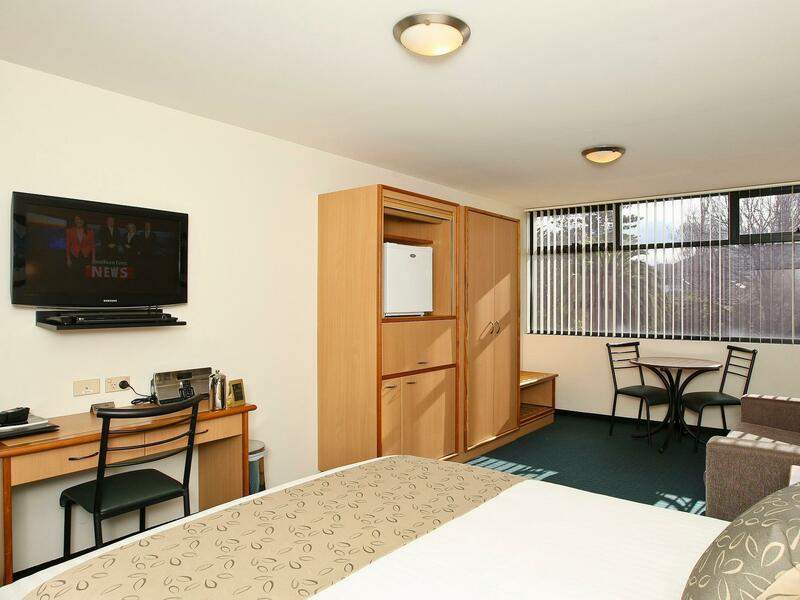 Comfortable room, unobtrusive staff, free Internet. Enjoyable stay in this medium-sized hotel. Really suits self-drive stays, as it's easy to navigate from. 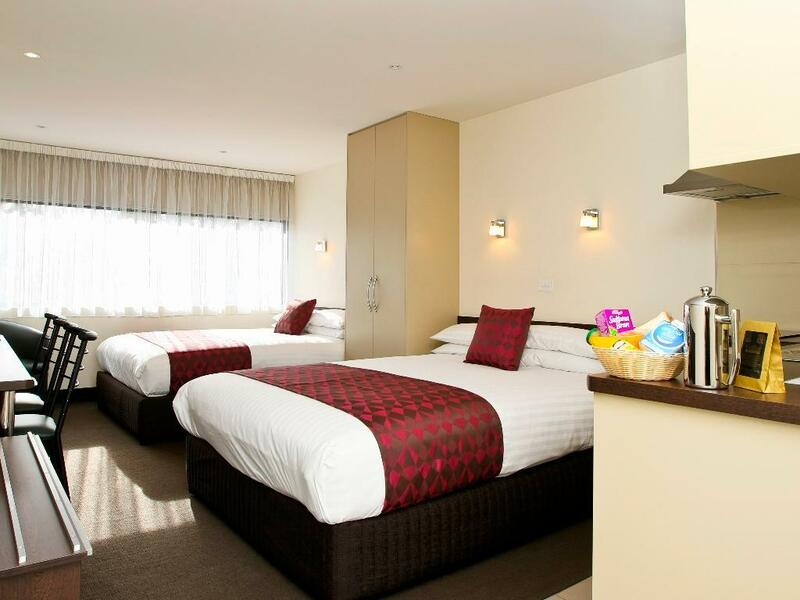 The casino is closeby for dining options, although Sandy Bay shopping precinct has plenty of options too. A coffee plunger in the room was a useful touch. This place is on a very busy road and does not have double glazing. It was impossible to go to sleep at night with all the noise from the road. Staff was friendly. But i will never stay there again and would not recommend it.